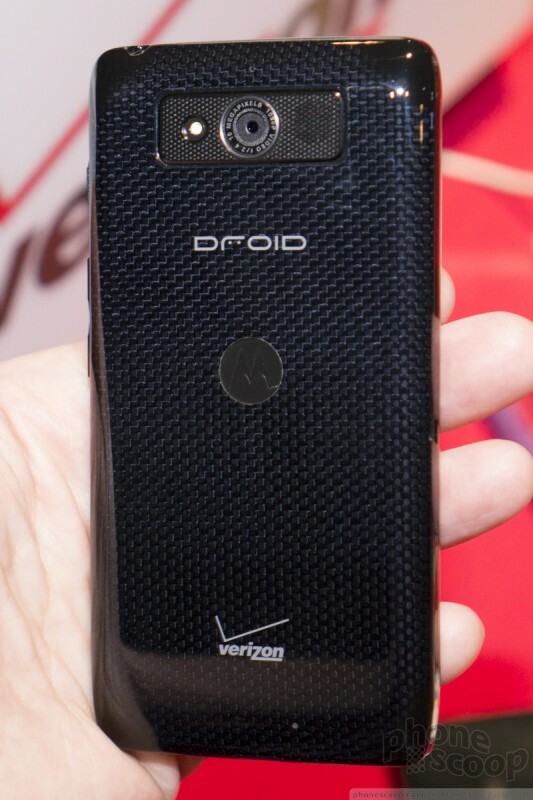 Verizon and Motorola today announced this year's trio of Droid phones. 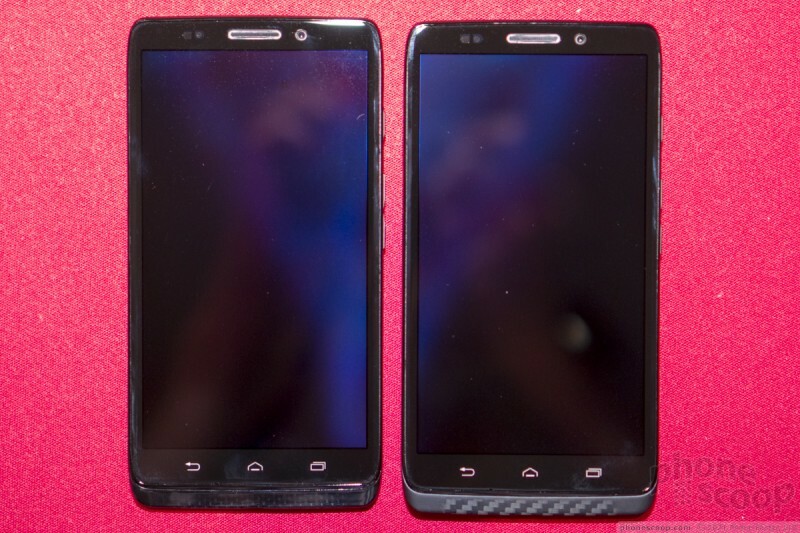 Like last year's RAZR HD, the Droid Ultra is the thin one. 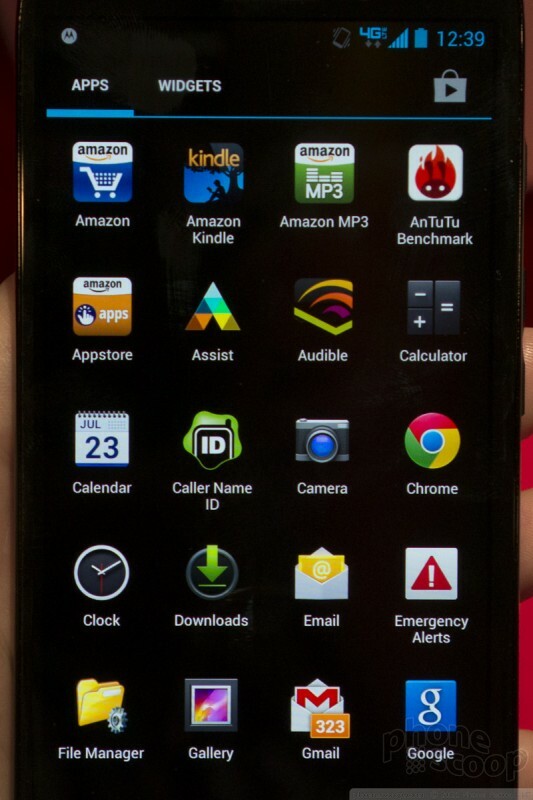 The Maxx has the great battery life, and the Mini is the smaller model with the 4.3-inch display. Otherwise they have a surprising amount in common. How do they stack up against the competition? Read on for our first impressions. Motorola and Verizon have a long history together, starting with the very first days of cell phones and including Verizon's first Droid. 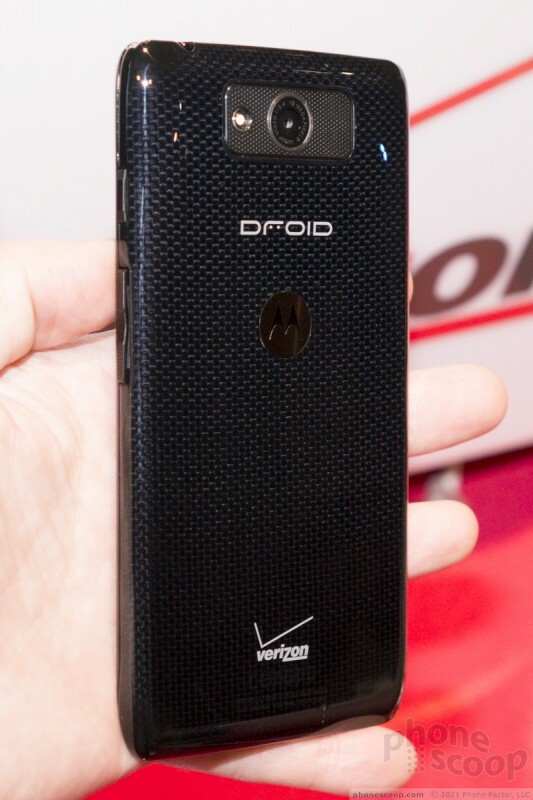 They may be dropping the RAZR name from this year's Droids, but this new crop is better than last's year's models, even at being incredibly thin. 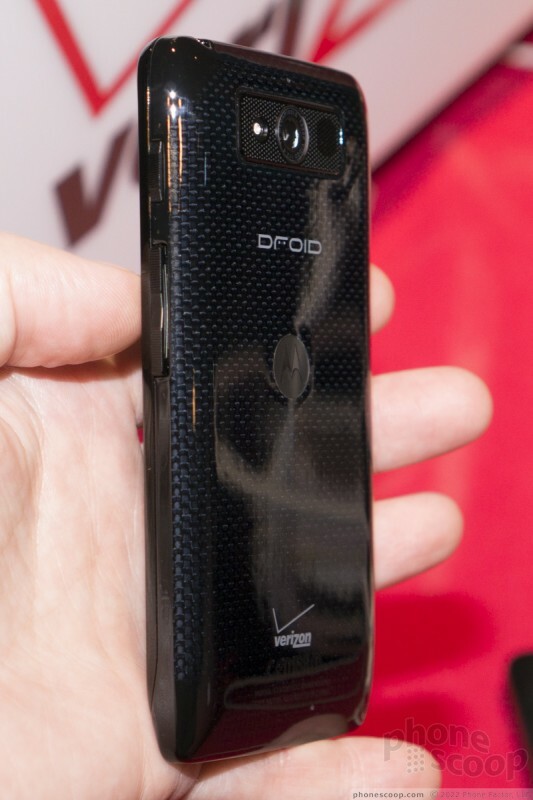 The Droid Mini is the smallest, for people who want something smaller. It competes with phones like the iPhone and HTC One Mini. 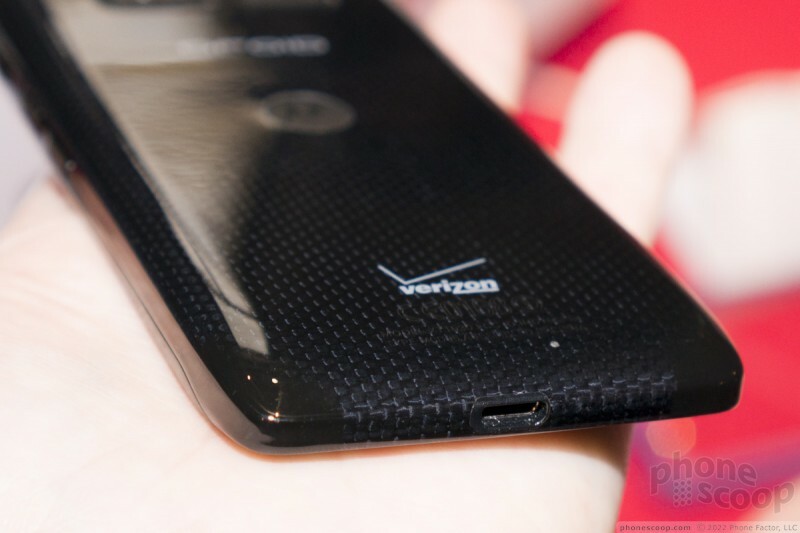 The Droid Maxx is the largest, with a massive 3,500 mAh battery. There's also a middle child. Perhaps Motorola thinks that - like the three little bears - the middle one is the perfect balance for most people, which may be why they call it the Droid Ultra. 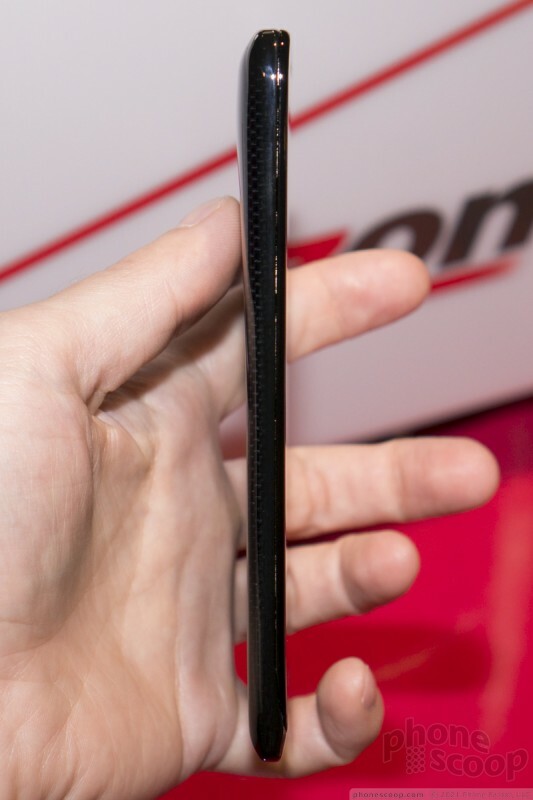 They claim the Ultra is the thinnest 4G LTE smartphone. 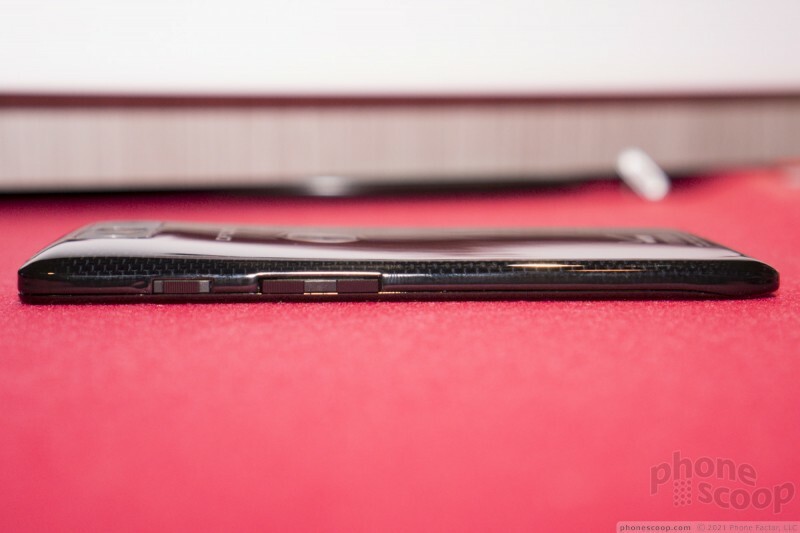 At 7.2 mm thin, it's pretty darn thin. But of course it depends on how you measure it; all three models have a wedge shape that's thin at the bottom but slopes to a thicker area around the camera. What matters most is how it feels, though, and the Ultra does in fact feel exceptionally thin. That thin shape is paired with nice rounded edges and corners that help it feel a bit more organic and comfortable. There's a subtle angle to the corners that's vaguely reminiscent of last year's design language, but it's so slight that you almost have to look for it. Overall, the design - especially in the black color - looks extremely generic. 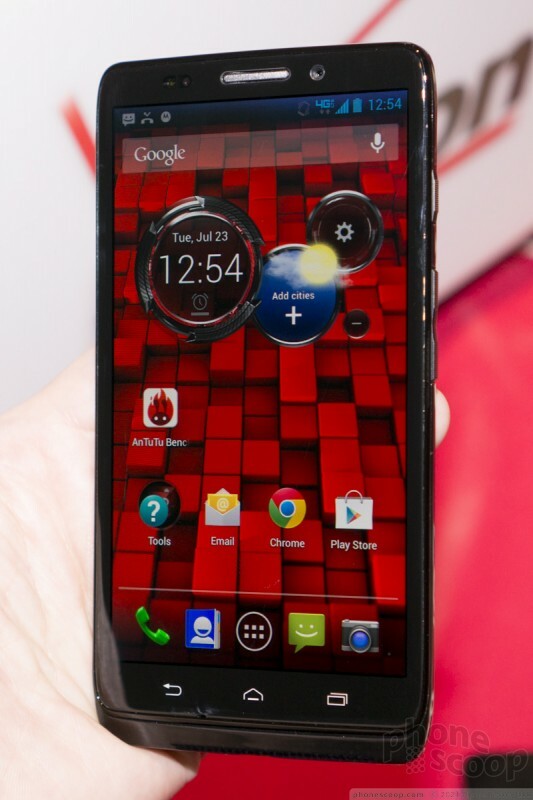 It's a bit boring and nothing really screams "Motorola". The exception is the Kevlar back, which is real woven Kevlar and does in fact look distinct. Get the Ultra in the red color, and you have something that really stands out. (The Maxx and Mini only come in black.) The Maxx has a lovely matte finish on the back with a slightly different weave of Kevlar. 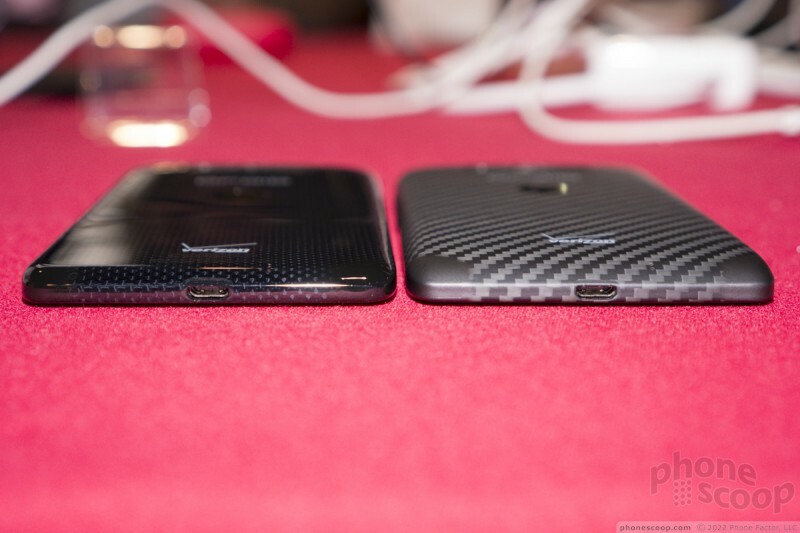 The Ultra and Mini only come in an all-glossy body, which is unfortunately a huge fingerprint magnet. Handle them for a few seconds and they simply look gross in the light. The back may be Kevlar, but it simply feels like plastic. The only side keys are on the right, consisting of a lock key and volume key. These are large, hard plastic keys with ridges. There's something very old-school about them, but they work fabulously. They're large and easy to feel, and have good action. They seem like they would work well even with gloves. 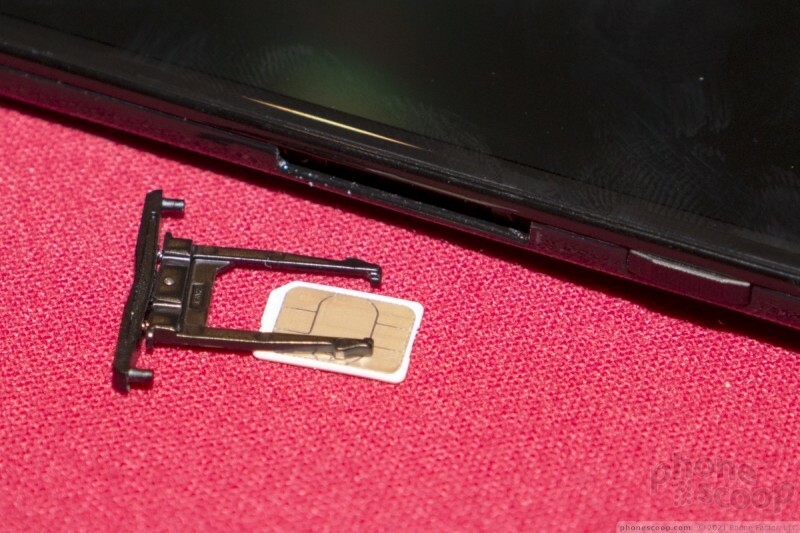 Cleverly, the volume key doubles as the SIM card tray. All three have essentially the same design and nearly identical guts. The Maxx is exactly like the Ultra, just with a larger battery and 32 GB of storage instead of 16. It's only slightly thicker. Those are really the only differences. The Mini is really just a smaller version of the Ultra, and a bit thicker as a result. 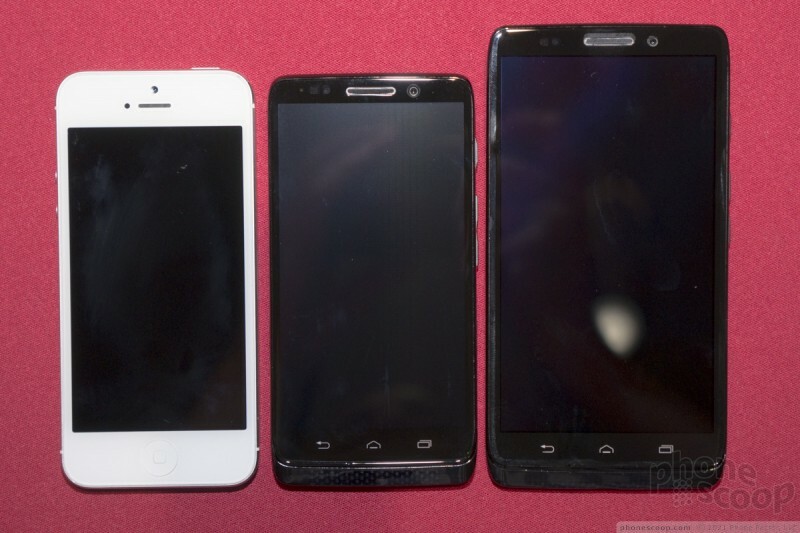 All three have the same 1.7 GHz dual-core processor, 10-megapixel camera. It's somewhat remarkable how similar the three phones are; they really did just re-arrange the same guts, unlike what Samsung and HTC are doing with their "mini" models. And yet the Droid Mini is much cheaper than the Ultra. Motorola claims the price gap has to do with the costly materials that make the Ultra and Maxx so thin. 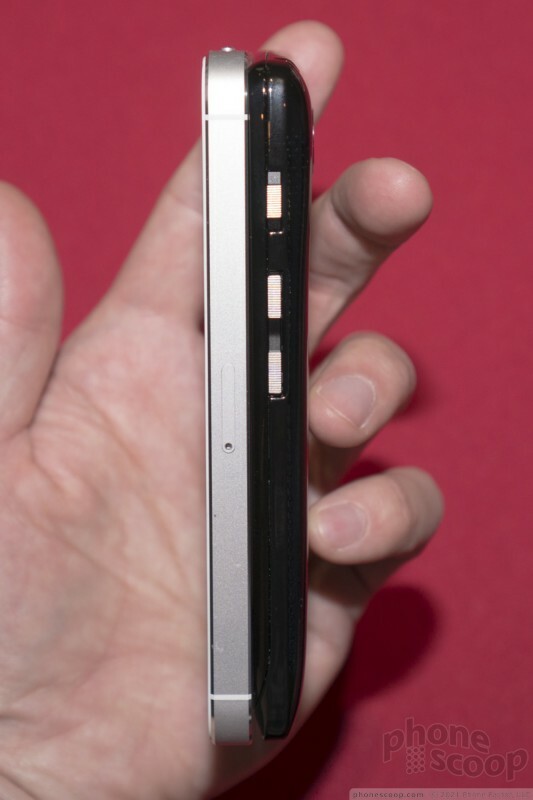 The Droid Mini is no brick, but it's not remarkably thin like the others. All three also have 720p display resolution. 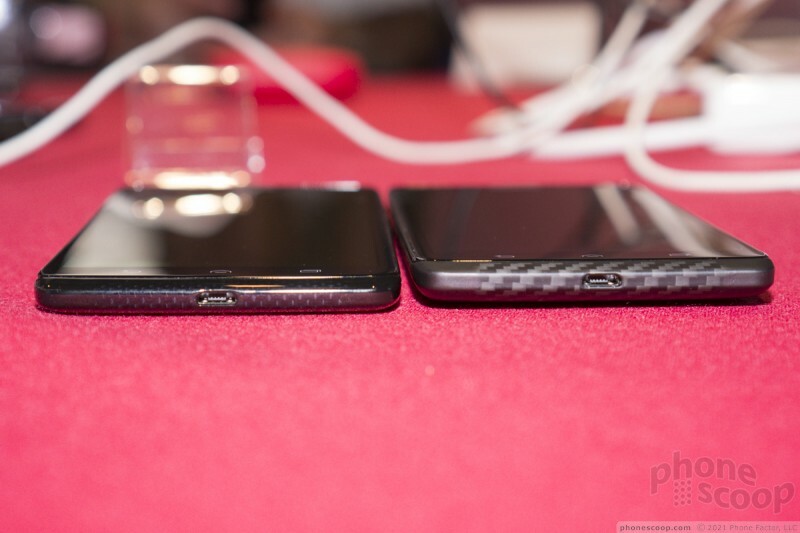 That's great on the 4.3-inch display of the Mini, but not very "ultra" on the 5-inch display of the Droid Ultra and Maxx. 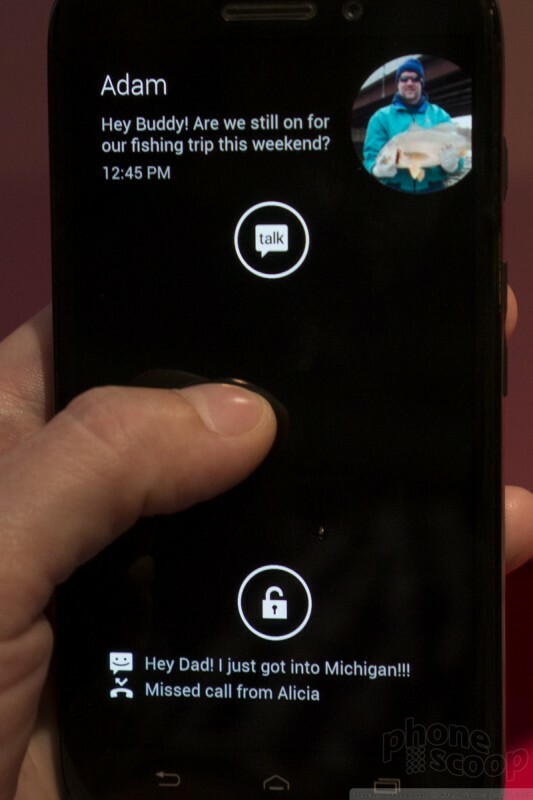 The Ultra and Maxx have an AMOLED display with a unique "Active Display" technology that can power up just the center of the display to show the time and notifications. This saves battery life It comes to life any time you pick up the phone, or any time you get an incoming notification. This replaces the notification LED with something more informative. You swipe up from a notification to jump right to that message or missed call. The Mini has a TFT LCD, so it doesn't have the battery life benefits, but it still has the Active Notification feature. 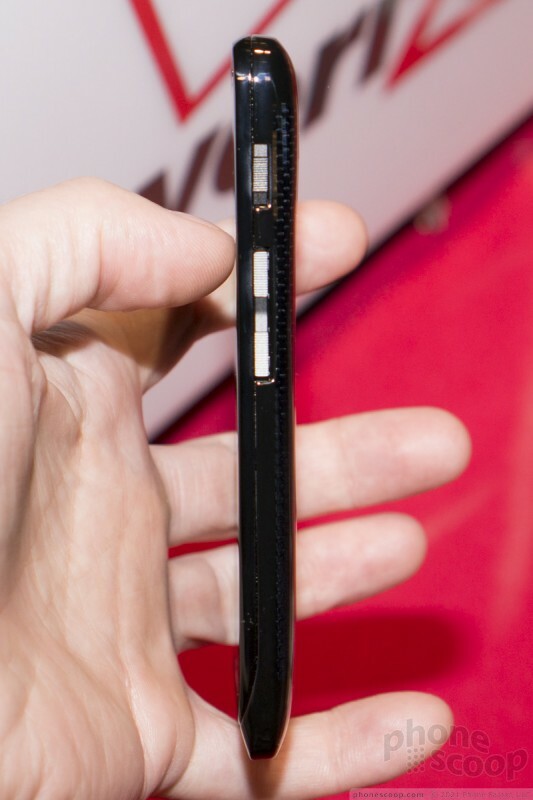 Motorola has their own special chip in their new phones that lets the phones pay attention and listen when idle, without using much battery life. This enables activating Google Now (Google's answer to Siri) with merely your voice, even if your phone is sitting on a table out of reach. 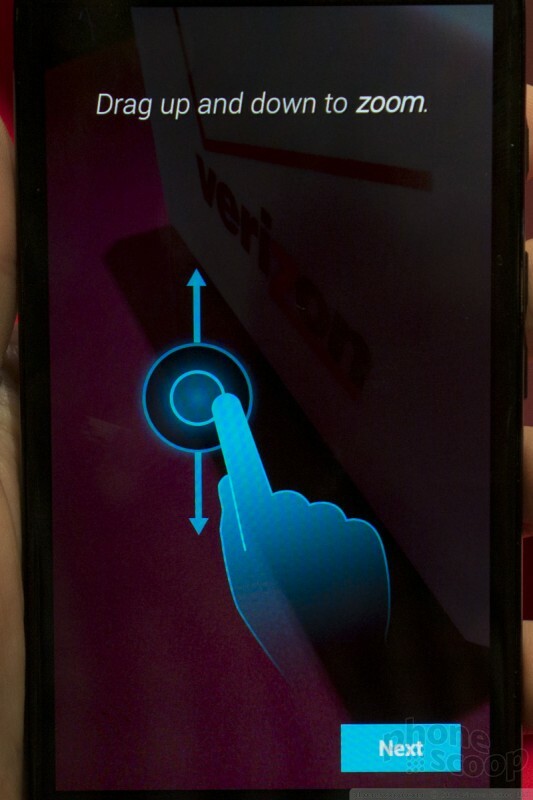 It also enables gestures like merely picking it up to see the time, and flicking it to activate the camera. Motorola calls the two parts of this chip "cores" and counts them toward the "8 cores" in its "X8" technology. 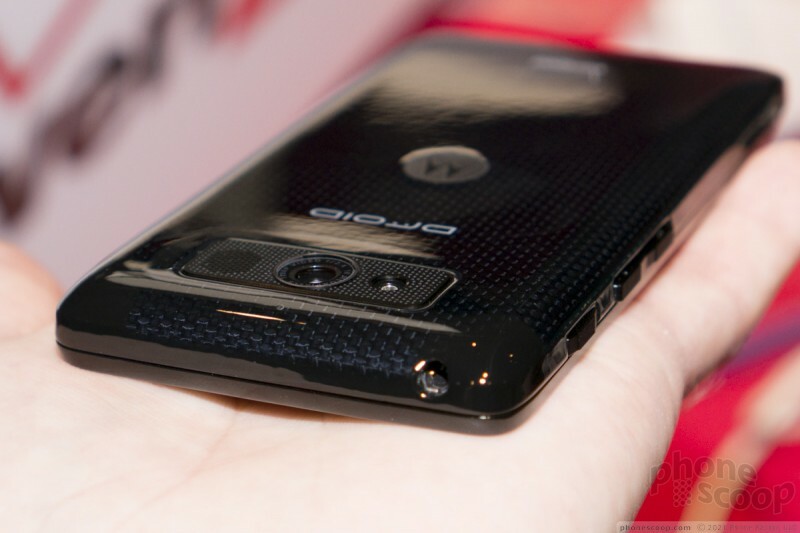 But don't be fooled; the new Droids have what most would call a dual-core processor chip. (The remaining four cores are actually graphics cores that most companies simply don't count.) Speaking of the dual-core processor, it's a Qualcomm Snapdragon S4 Pro, which is not the latest and greatest by any means. It's not shameful, but it's not competitive with the Samsung Galaxy S 4 nor HTC One. 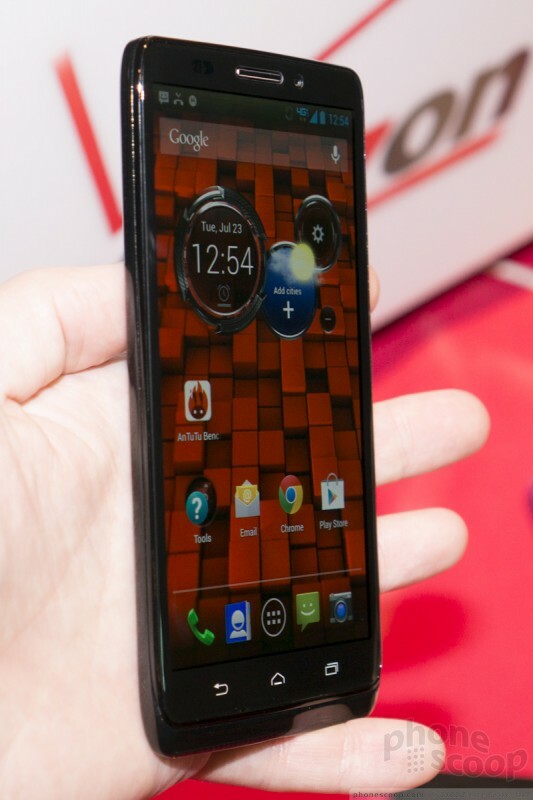 As you might expect now that Google owns Motorola, the software is very close to stock Android. But there are a few twists. The Active Display is one. 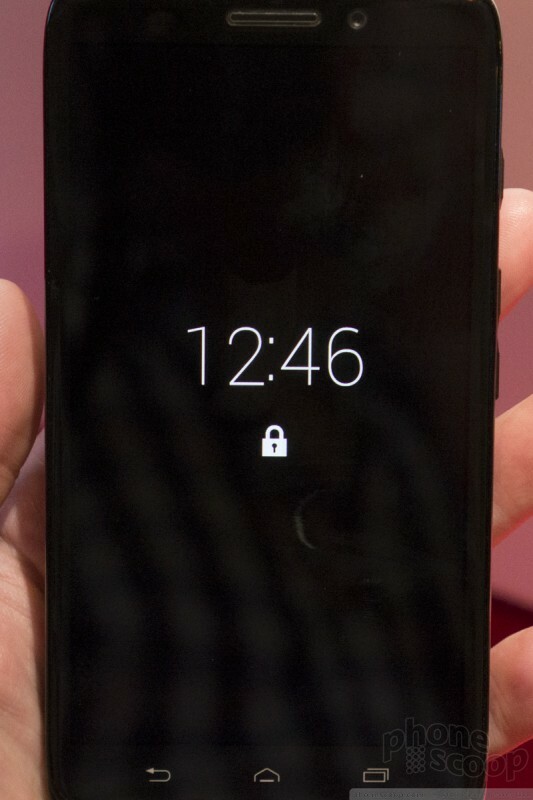 But the lock screen is standard Android. The home screen, app menu, and notification shade are all very plain, standard Android. MotoBlur is finally, truly gone. 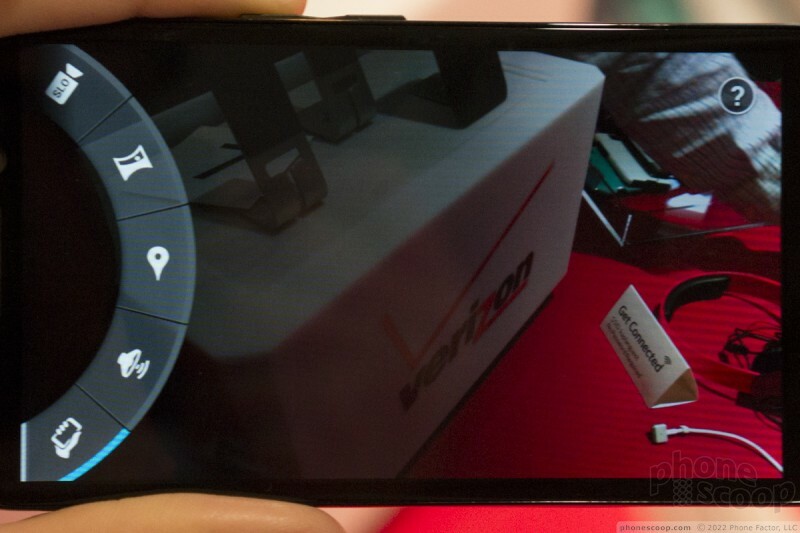 Motorola does have a new camera app, though. 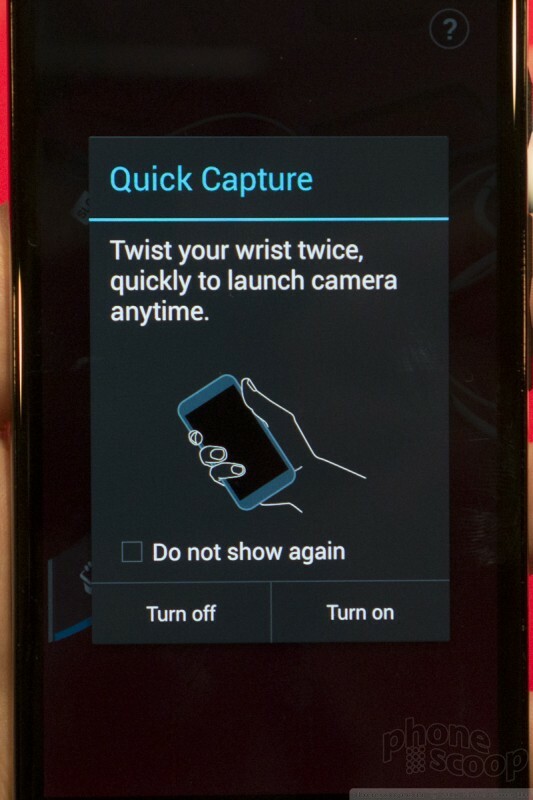 You can activate the camera by holding the phone sideways and twisting it twice. That's a nice shortcut, but it still takes a few seconds to start the camera. While it's loading, the phone vibrates to let you know you did the gesture correctly. The camera interface is cute, but you really have to pay attention to the on-screen tutorial the first time you use it to learn the gestures necessary to zoom and summon the settings. If you can't remember the gestures, you'll be lost; it's not intuitive. The settings dial is easy to use, but has relatively few options. There's panorama, HDR, and slow-motion video, but that's about it. I couldn't find any exposure control, white balance, scene modes, filters... none of that. This is one of the most pared-down camera apps I've ever seen on a high-end device. The camera app does have a few tricks up its sleeve. One is "auto" mode for HDR. It will detect when it should use HDR and do it automatically. That's a new trick. Also, the "video" button may look like a button that only switches to video mode, but it actually starts recording video right away. Speaking of shutter buttons, there is none for still photos. Not only is there no physical button, but there's none on the screen, either. 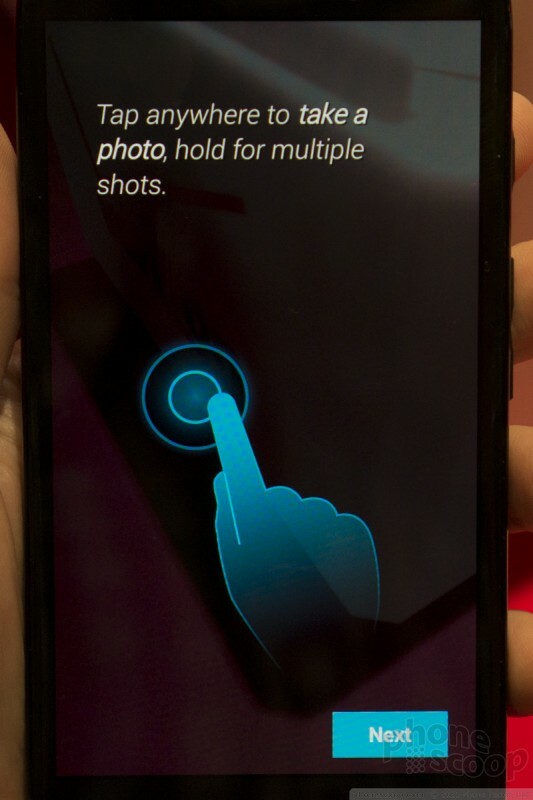 You simply tap anywhere on the screen to snap a photo. Again, this is an exceptionally pared-down interface. It's almost too simple. 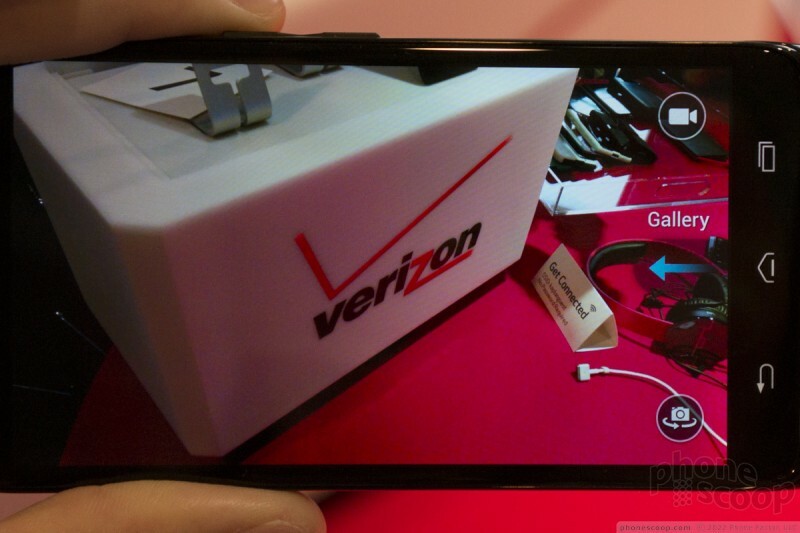 Verizon has a few features exclusive to their Droid line, such as Droid Zap, which is a photo-sharing service. There's also a home screen widget with weather like last year's Droid RAZRs, but now it includes a button for Miracast display mirroring over Wi-Fi. Look for the new Droids to ship in about a month. The Mini will go for $99 on contract, the Ultra for $199, and the Maxx for $299. 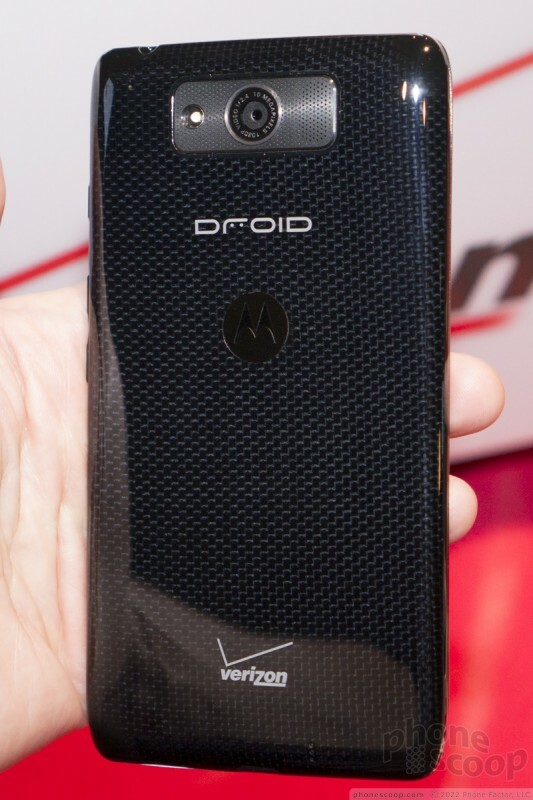 Motorola's newest Droid for Verizon Wireless is thin, light, and sleek. 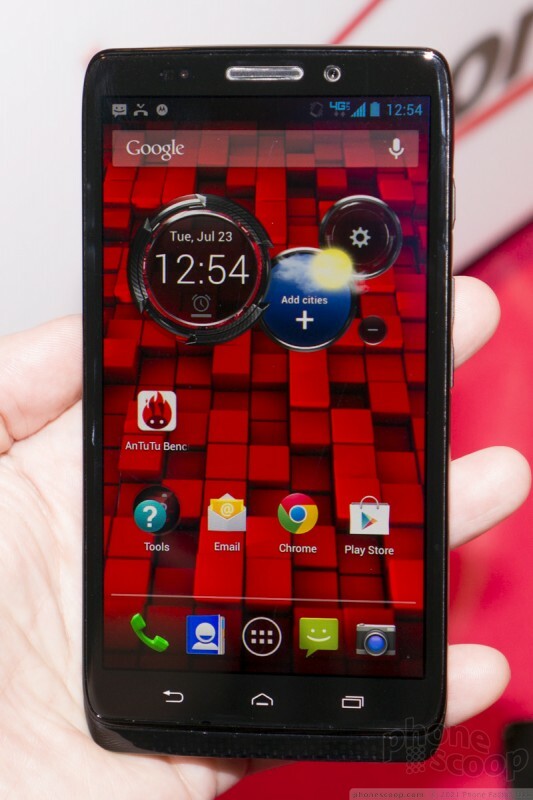 It's a solid effort from Motorola, but doesn't earn top marks across the board. Verizon is holding an event today in NYC to announce the "next generation" of one of its "most popular family of devices." We're expecting new Droid phones. 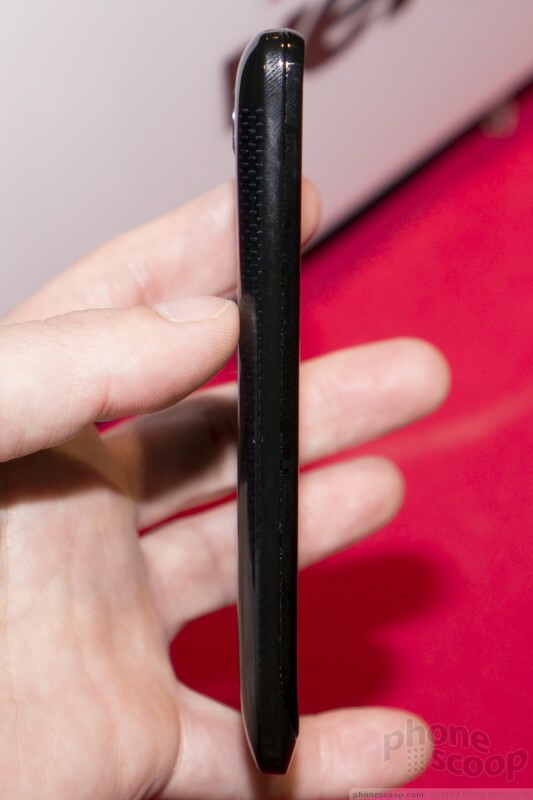 Leaks point to a couple of new models from Motorola, but we won't know for sure until noon Eastern. 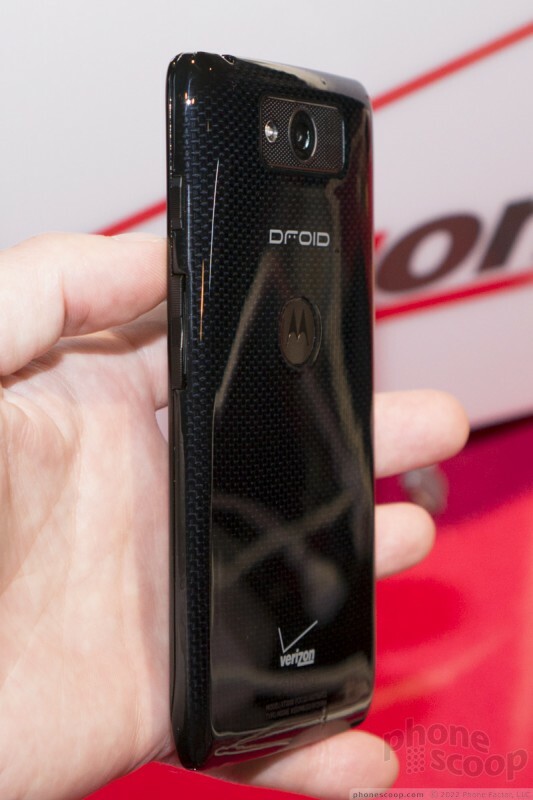 Verizon Wireless today announced the Droid Ultra, Droid Mini, and Droid Maxx, all made by Motorola. 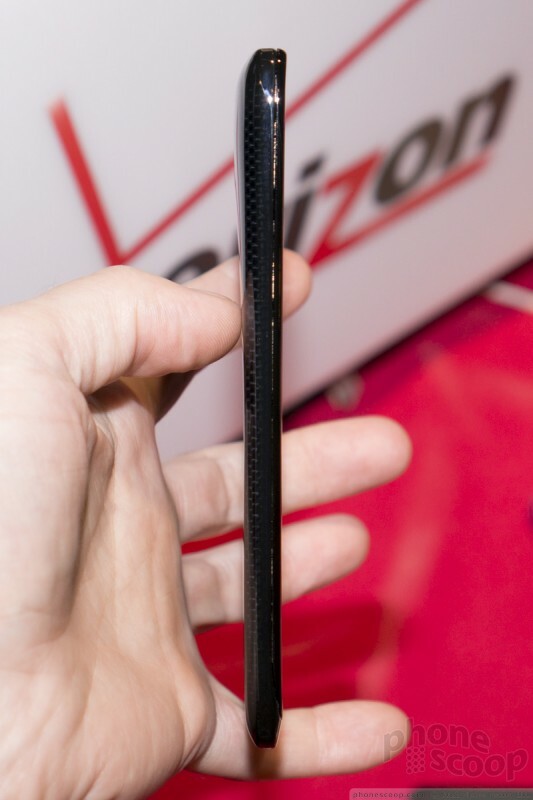 The Ultra (shown) is thinner than last year's RAZR HD, at almost 7 mm thin, which Verizon calls the world's thinnest LTE smartphone. What are they doing over there, the apps that are popular will eat a dual-core alive. I am insulted that they put in their specs dual-core ( quad-core graphics) its a con it doesnt matter what the gpu is if the cpu cant handle the load. Most apps are not optimized to work with multiple threads. Quad Core and Octa core processors may help for very specific business tools, or manufacturer's software. But most apps work fine with dual core processors. Do none of these phones have a MicroSD slot? That is a deal-breaker for me as I enjoy having a 64 gig card in my phone. 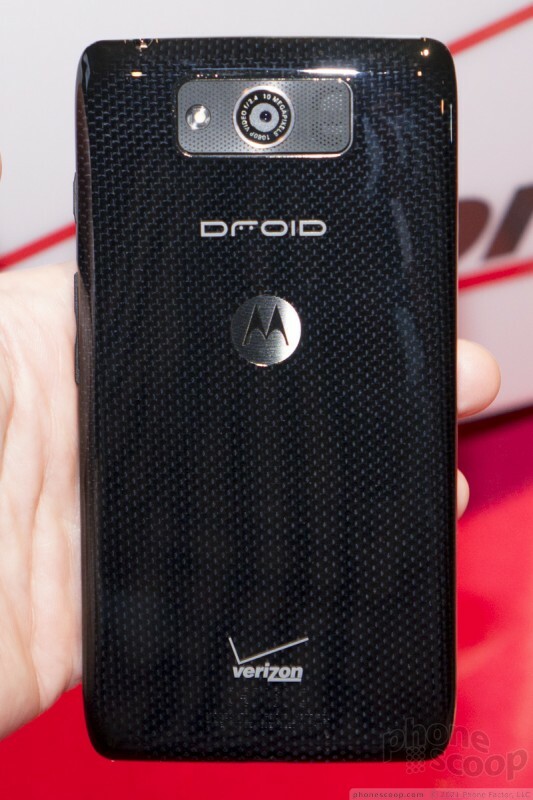 Also would have been REALLY nice to see a Droid 5 finally, just take the Mini and stick a nice qwerty on it, Moto! 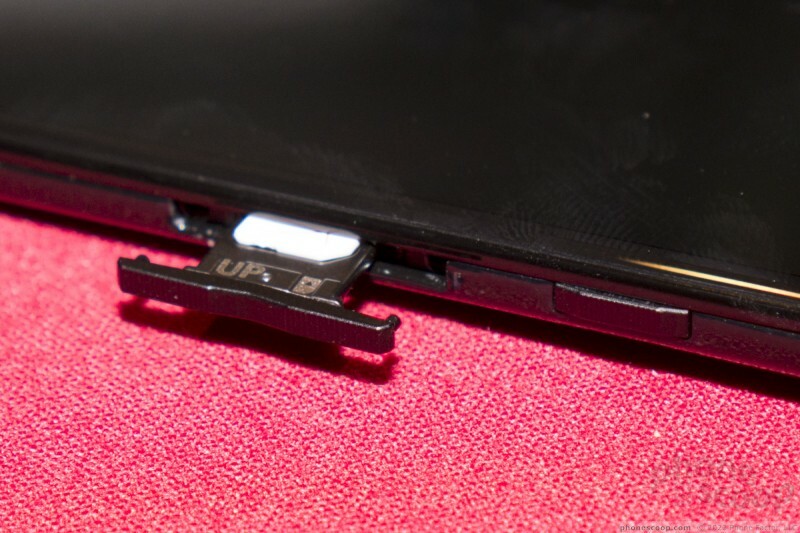 We've known for a while that Google/Motorola doesn't like microSD cards. But no even having the option somewhere in the product lineup is going too far. Where is my Droid 5 ??? 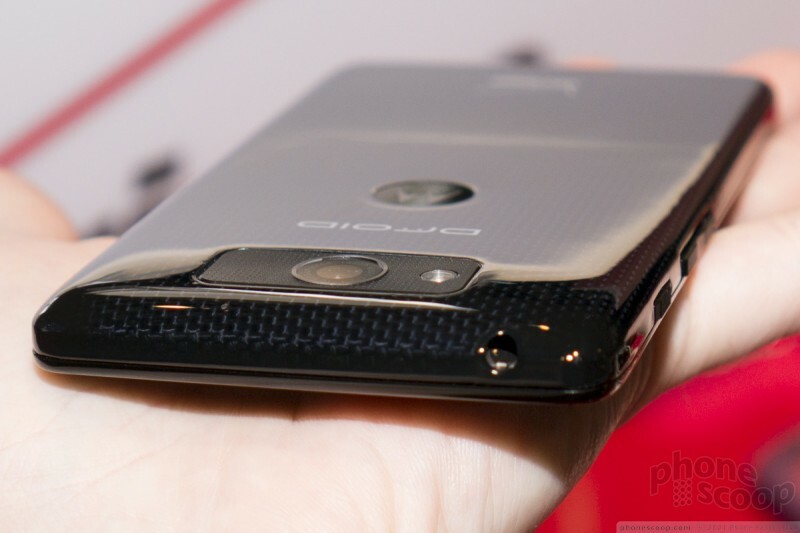 I have been waiting for the Droid 4 update almost 2 years! I need better quality display, Android 4.2 (or 4.3), faster processor, longer battery life, and more. So is that the end of physical keyboard smartphones? Come on, Motorola!!! 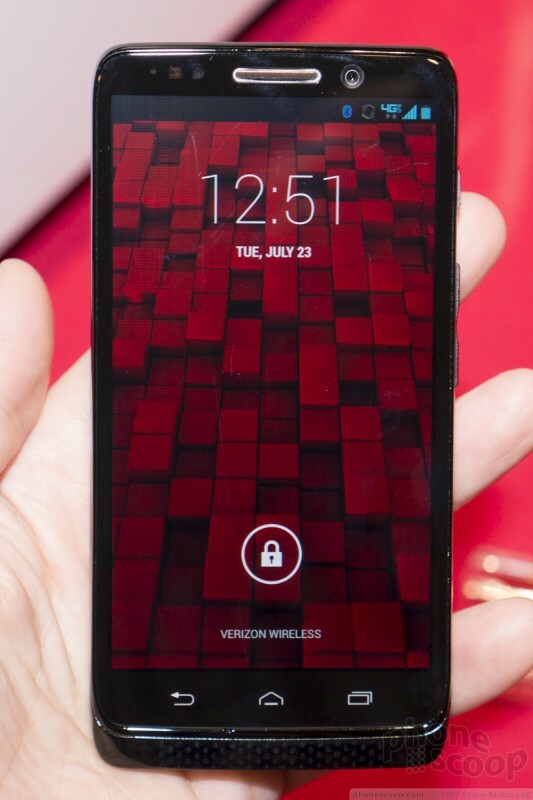 I currently have the Droid RAZR Maxx HD (I love it.) and I'm due for an upgrade in October. 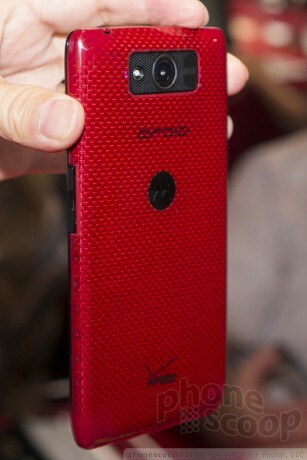 In your professional opinion, do you think the new Droid Maxx is worth it to upgrade over the RAZR Maxx HD from 2012 or am I better off just sticking to my current Maxx HD and saving the 300? How much actual usable memory is available on the 3 models? I'm assuming that it's less than 16GB and 32GB. Verizon site says "4FF Preinstalled SIM"
Yeah, this one can be deleted. Nope. They have the Active Display thing instead. 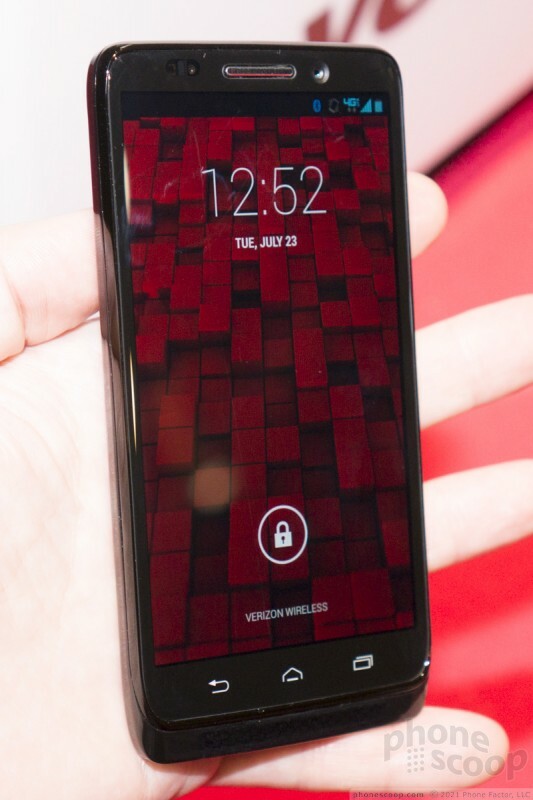 If these are anything like the current Razr HD lineup, then the notification LED is actually that large bar at the top of the display.